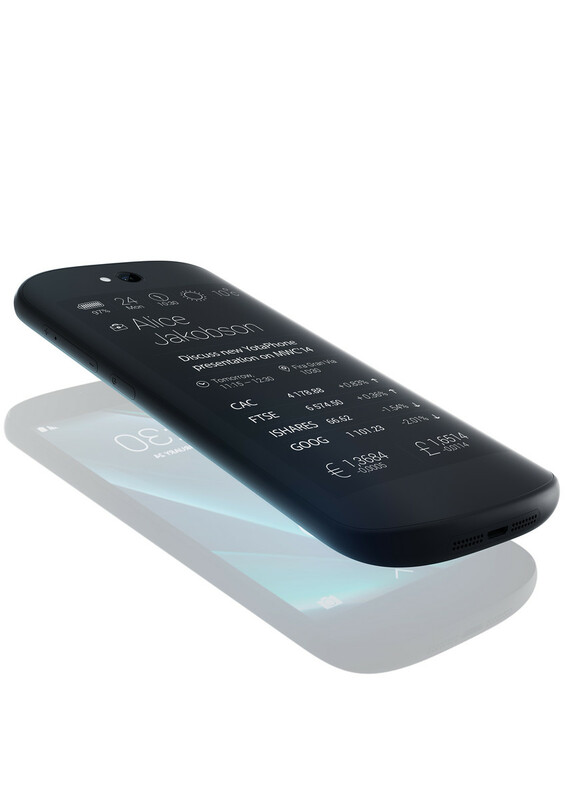 The Russian smartphone-maker Yota Devices introduces the second generation of its dual-screen smartphones with the YotaPhone 2. Only the storage configuration has not been modified. 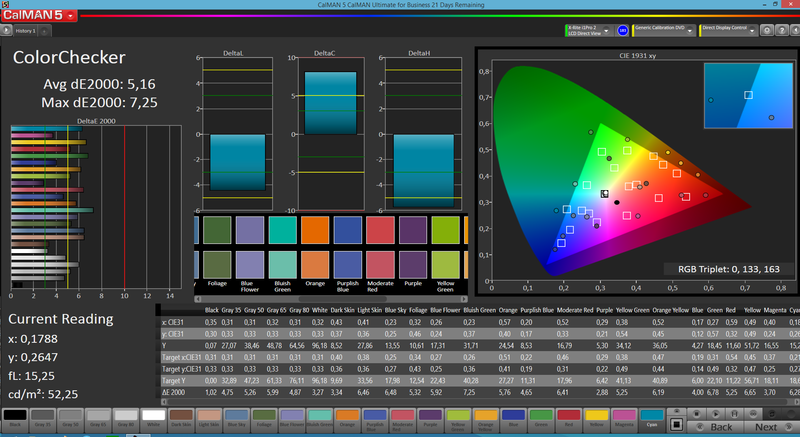 In addition to a speedier processor, the resolution of both screens has been increased considerably. The angular design of the precursor is now also a thing of the past; the new YotaPhone displays evident curves. The price has also been beefed up considerably. The former RRP of 499 Euros (~$578) for the debut model has been raised to a steep 699 Euros (~$810). The price places the review sample in the premium range where strong contenders wait. Besides the Samsung Galaxy S5 (starts at 415 Euros, ~$481), HTC One M8 (starts at 412 Euros, ~$477), Sony Xperia Z3 (starts at 480 Euros, ~$556), LG G3 (starts at 340 Euros, ~$394), and Nokia Lumia 930 (starts at 340 Euros, ~$394), even the iPhone 6 (starts at 680 Euros, ~$788) is similarly expensive. Compared with the precursor, the YotaPhone 2 has clearly grown but does not look exceptionally big for a 5-inch handheld. It's not too thick with a height of just below nine millimeters and is also very light with 144 grams, which is even two grams lighter than the first model. It is still pleasant to hold owing to the rounded back and sides. The smartphone also proves to be very stiff and pressure resistant. We could only produce a slight cracking noise. The gaps are very tight and even. That should largely prevent dirt from accumulating there. The nano-SIM slot implementation is particularly clever. It is hidden under the volume rocker. A pull-out model plate with the device's IMEI and other specs is also found here. 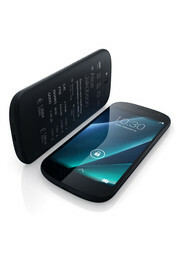 The battery of the YotaPhone is not removable, and the user cannot replace it. However, the screens on both sides of the device have a drawback: the handheld practically always lies on one of its screens, which increases the risk of scratching - although the relatively resistant Corning Gorilla Glass 3 protects them. The YotaPhone 2 has a micro-USB 2.0 port on its lower edge, which can be used for recharging and data sharing. It also supports OTG so that flash drives or external input devices can be connected via an adapter. The handheld can also be recharged wirelessly (Qi-standard). However, there is no micro-SD slot for expanding the storage. 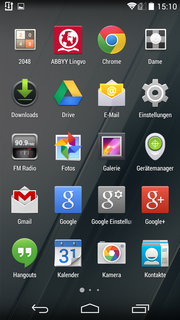 The maker preloads Google's Android 4.4.3 KitKat operating system. 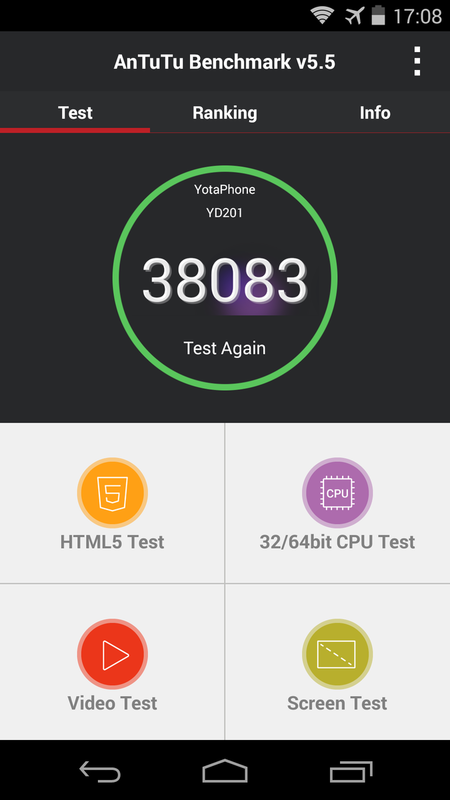 Yota Devices has put an update to Android 5.0 Lollipop in prospect, but no exact date for its release has been stated yet. No visible modifications have been made. However, YotaMirror will be found under the surface, which allows transferring corresponding data on the ePaper screen. 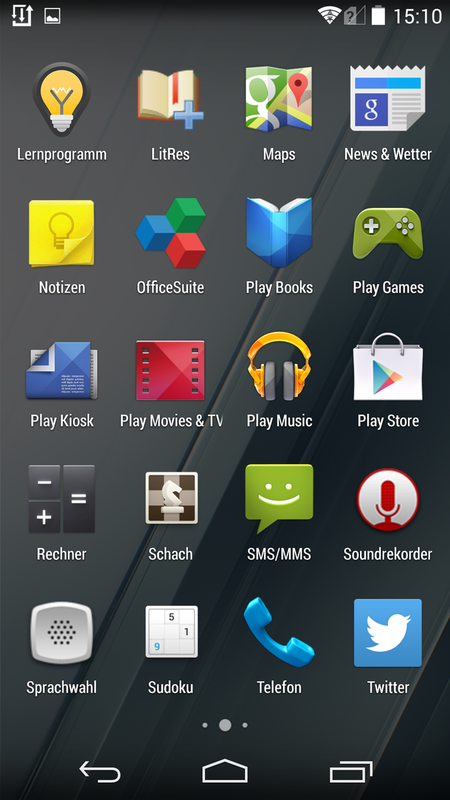 Some proprietary apps that allow customizing the second screen are also found on the smartphone. For example, the widgets can be arranged according to personal preferences, and a cover picture hides content from curious glances. Screenshots of both screens can be captured. The key combination "power" and "volume down" creates an image of the AMOLED screen. The smartphone makes a screenshot of the displayed EP display content when the volume rocker's upper area is pressed instead. It is saved in color. The Wi-Fi module in the YotaPhone 2 supports the IEEE 802.11 a/b/g/n/ac standards and thus transmits in both the 2.4 and 5.0 GHz frequency ranges. The range is quite decent. An average signal quality was still displayed even over 20 meters away from the router (Fritz!Box 6360, 2.4 GHz). Our website was set up quickly after a short moment when browsing on the Internet. The handheld can access the Internet via HSPA+ (max. 42 Mbps) or LTE Cat.4 (max. 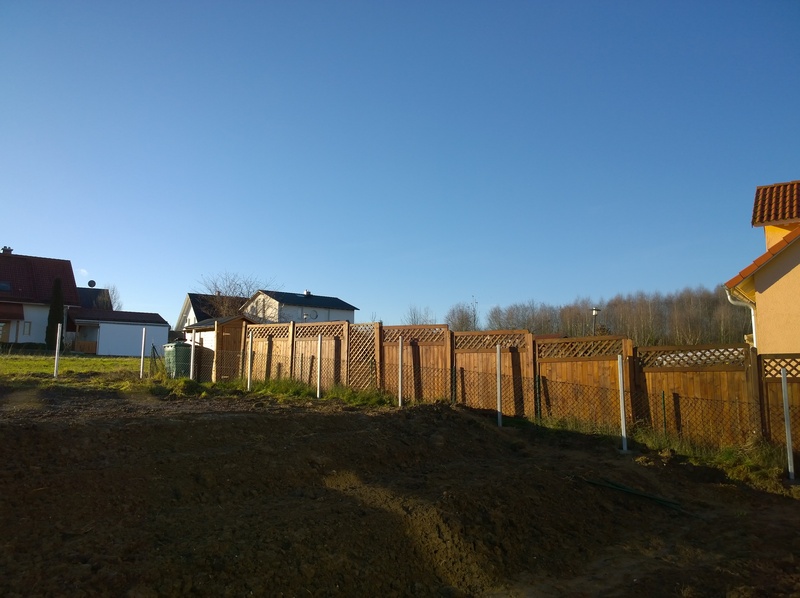 150 Mbps) on-the-move. A somewhat faster version would certainly have been more appropriate. NFC and Bluetooth 4.0 are also installed and function impeccably. Finding satellites takes a bit longer indoors but is then quite accurate. It is considerably faster outdoors. 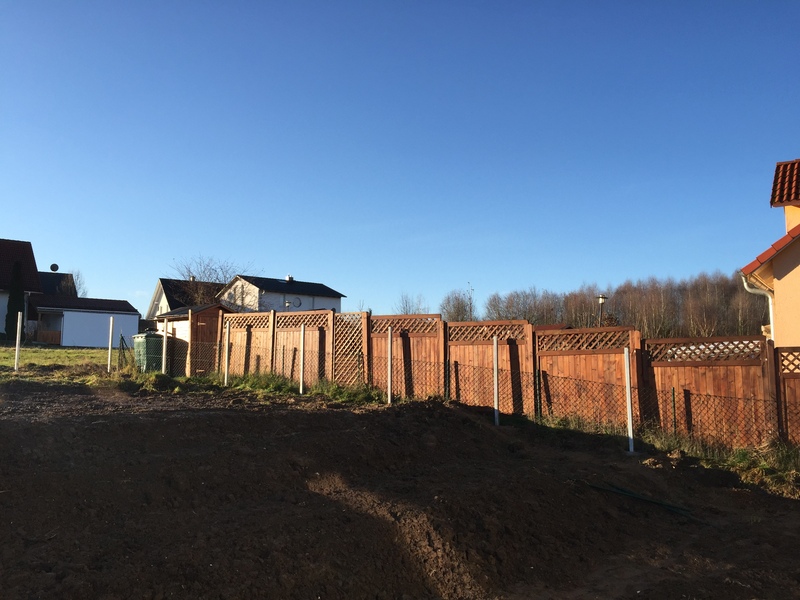 The smartphone supports both the GPS and Glonass systems. 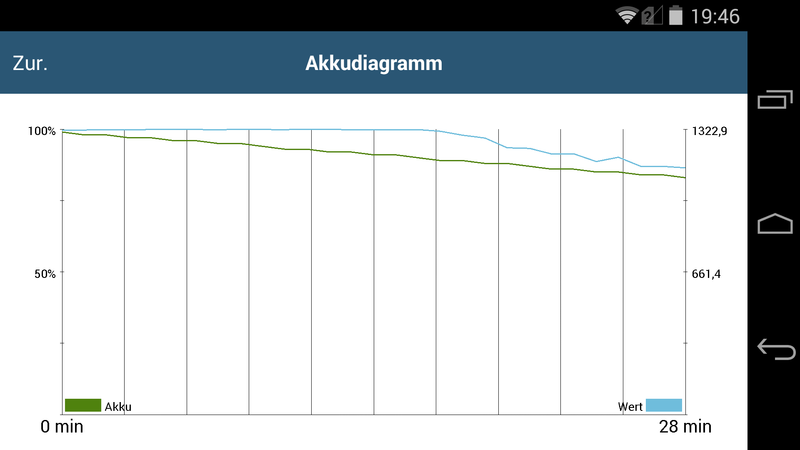 The voice quality of the YotaPhone 2 is quite decent. We understood our contact well when holding the phone to the ear as well as via the speaker. We were also intelligible for our contact despite a permanent scratching background noise. The front-facing camera in the YotaPhone 2 has a resolution of 2.1 MP (1920x1080 pixels; 16:9) and allows shooting decent pictures. The relatively high light sensitivity makes it quite suitable for videoconferencing. However, even selfies are possible in good light conditions. The primary camera provides a bigger sensor with a resolution of up to 8 MP (3264x2448 pixels; 4:3). 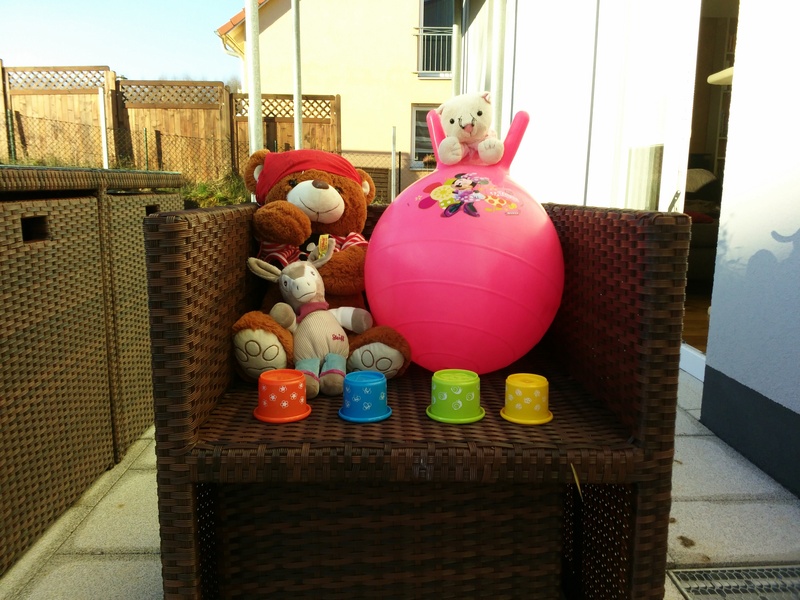 The camera app's design is quite basic and easy to use. 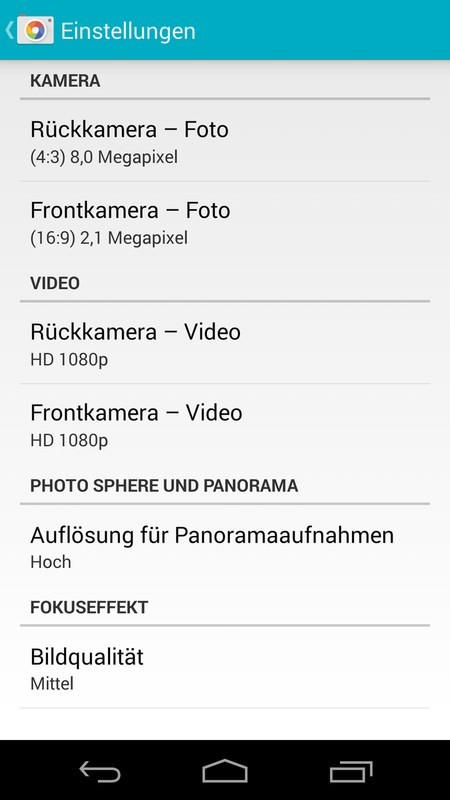 In addition to HDR, the lens also supports panorama and Photo Sphere. The camera's picture quality is comparatively good. 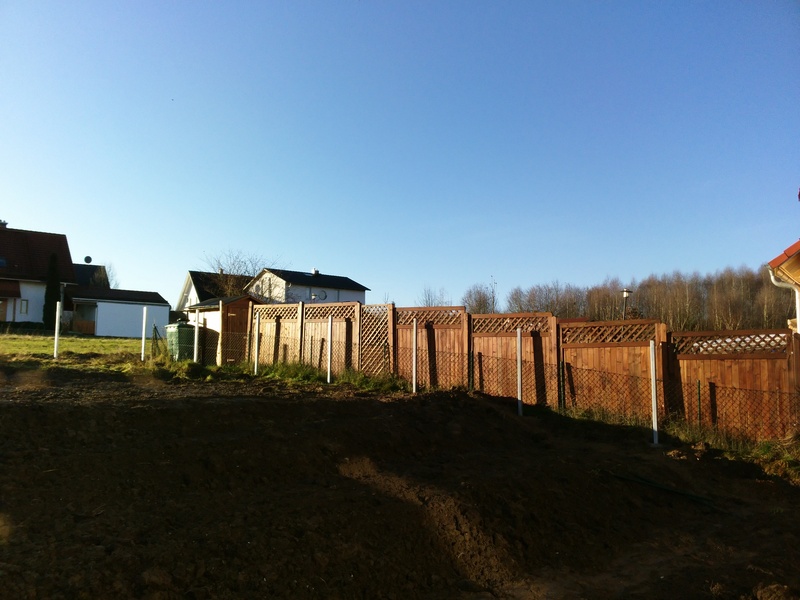 It only overexposes marginally and covers the picture with a faint grayish cast in daylight shots (scene 2). However, that is hardly noticed without a comparison picture. The colors look quite natural; only the saturation could be a bit higher. The low resolution is noticed in high-detail photos where some blur. Videos are recorded in Full HD (1920x1080 pixels; 16:9) and are nice and sharp in good light conditions. However, overexposure is a bit more evident. The camera primarily has bigger problems with different light conditions. The included accessories for the YotaPhone 2 make a high-quality first impression. Besides a small tool for opening the SIM slot, a modular power supply with a nominal power of 7.5 watts (5 volts, 1.5 ampere) is in the box. 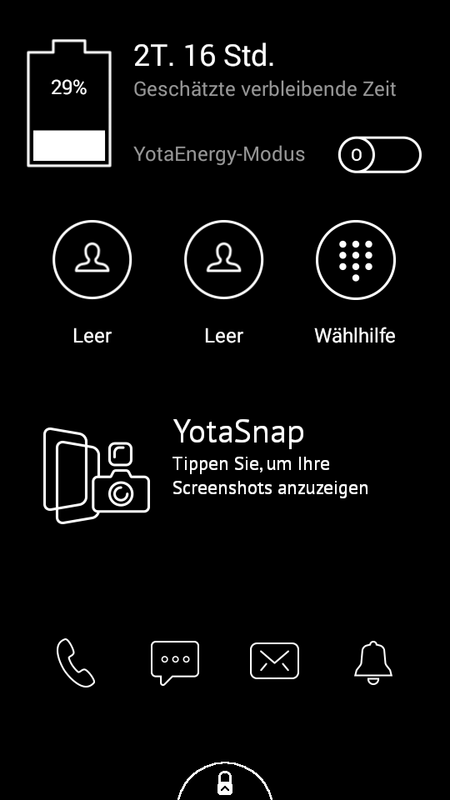 A nifty gimmick is the illuminated YotaPhone logo that only lights up when the original smartphone is connected. It is naturally possible to connect phones from other manufacturers, but the logo does not light up then. Various plugs are provided for the in-ear headset and should thus fit in most ears. Its flat cable is also tangle-free. The maker includes a 12-month warranty on the YotaPhone 2. European buyers can also take advantage of the retailer warranty. The YotaPhone 2 features two capacitive touchscreens. 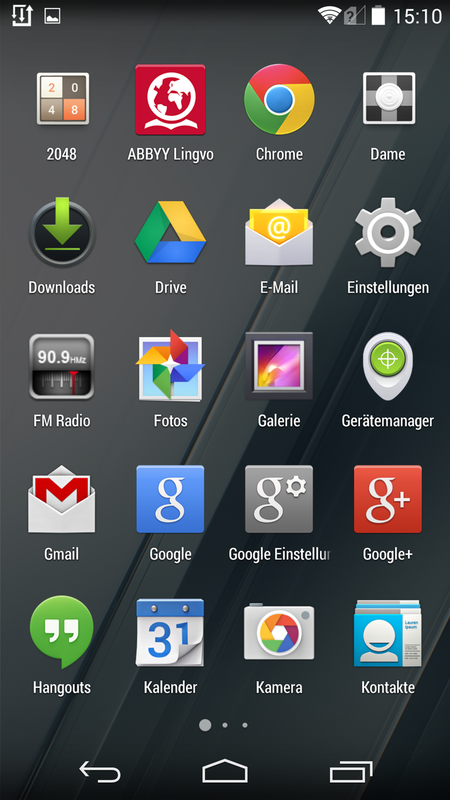 That of the AMOLED screen proved to be extremely accurate and implemented inputs very fast. The input area on the back is also sleek, but gestures were implemented noticeably slower. This is an improvement particularly for the e-paper display because the precursor did not have a touch-sensitive surface. The EPD also has to be unlocked via a swipe gesture before use. It enables accessing the most important functions such as phone, notifications, and emails. 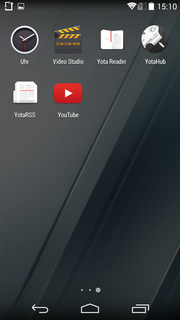 A self-defined widget screen can be directly opened from there, which the user can customize. Everyday tasks like reading or Internet browsing can also be done via the EPD. Since this screen is permanently on, the content opened last is always displayed - regardless whether it is an address book entry, a website, a note, or the page of a book. 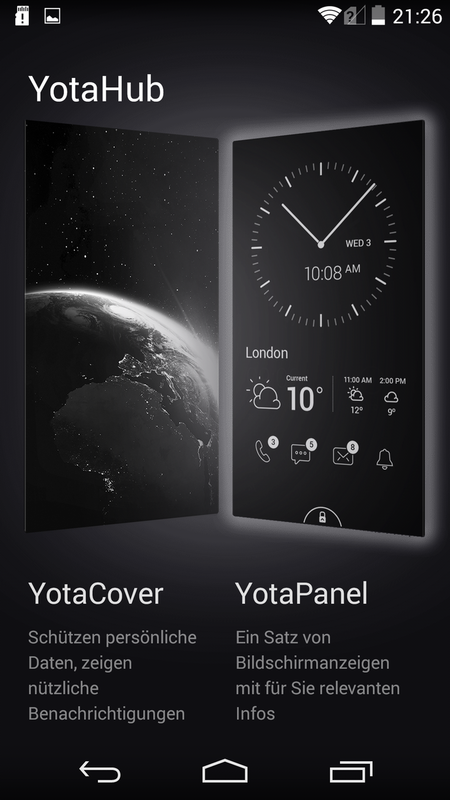 The content can be hidden with a picture using YotaCover as soon as the phone is locked. Yota Devices preloads the stock keyboard layout from Google. It is very basic and functional. 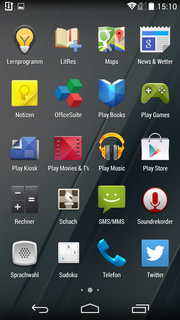 However, more extensive layouts can be installed via the Play Store. The front-sided AMOLED screen in the YotaPhone 2 measures 5-inches and has a resolution of 1920x1080 pixels. 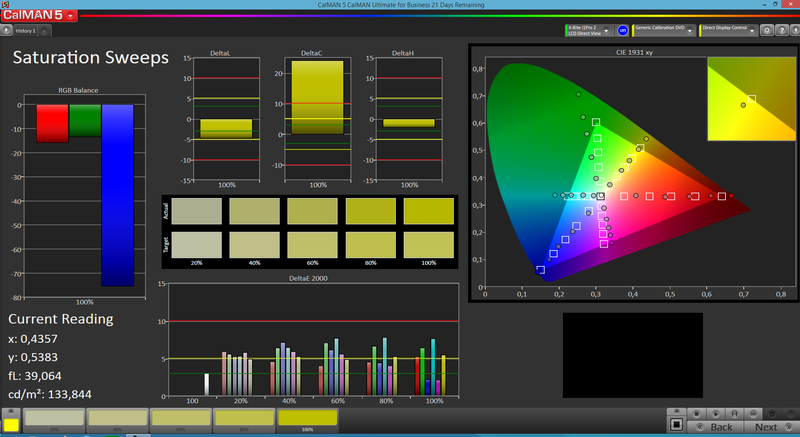 That corresponds to an aspect ratio of 16:9 and pixel density of approximately 441 ppi. The content is razor-sharp, and single pixels are not visible to the naked eye. 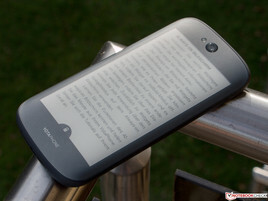 The e-paper screen on the back is a bit smaller with a diagonal of 4.7-inches. 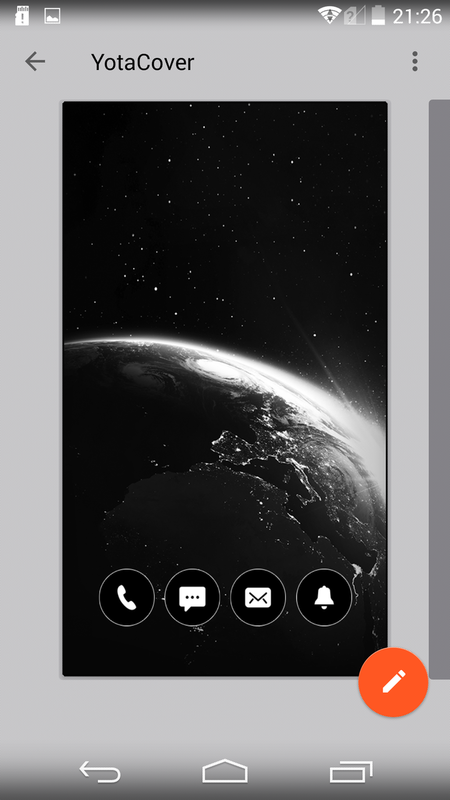 It has a resolution of 960x540 pixels and can display 16 grayscale levels. It is not illuminated and can thus not be read without an external light source. Consequently, it does not consume power when the displayed content is changed. The reproduction of the EPD looks a bit coarse. The prior content is always slightly visible and it takes a moment until it completely disappears. 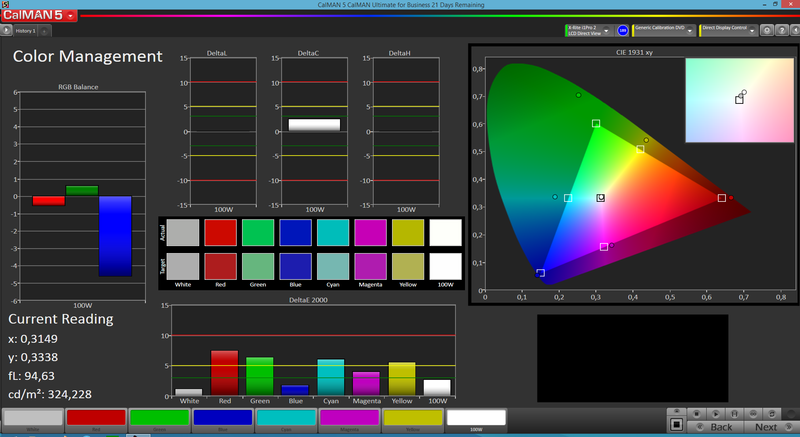 The OLED screen achieves a brightness of up to 335 cd/m² and thus belongs to the brighter members of this screen model. The illumination of 95% is extremely homogeneous and does not give any reason for complaint. Owing to the employed AMOLED technology, the black level of the YotaPhone 2 is a perfect 0.0 cd/m². Consequently, the contrast is no longer measurable and is virtually infinite. The review sample's color reproduction is relatively good. The colors are slightly oversaturated but do not look overly bright. 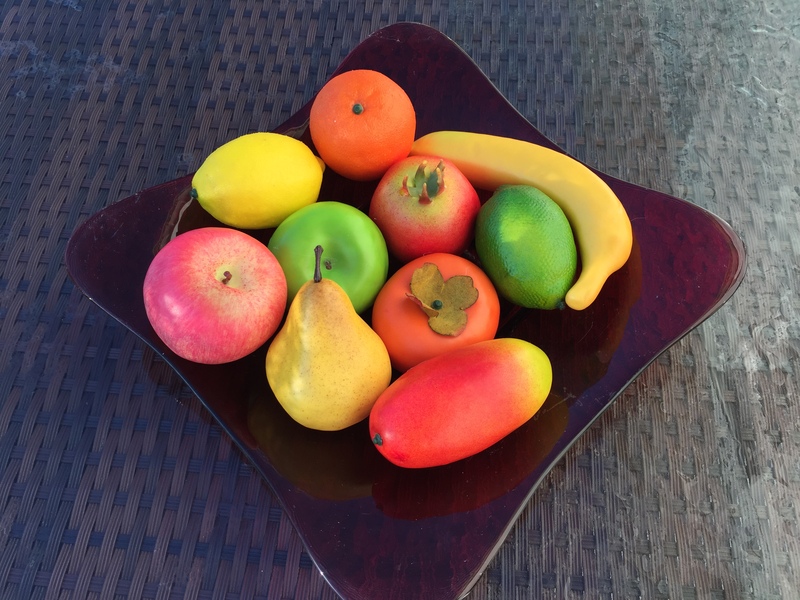 Unfortunately, there are no options for customizing the colors according to personal needs so that a natural color reproduction is not possible. 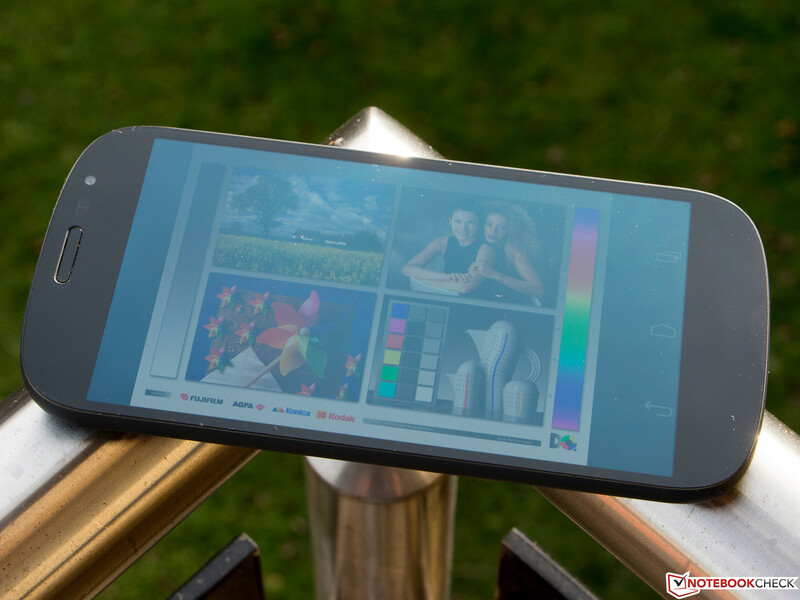 The YotaPhone 2 excels in outdoor use. 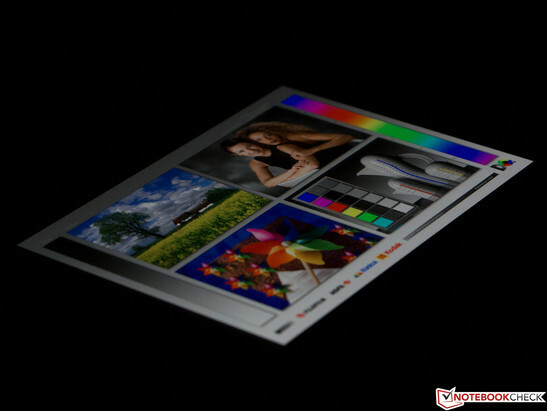 Although the OLED screen has a reflective surface, it is quite bright and convinces even in bright surroundings owing to its strong contrast ratio. Only direct sunlight is too much for it. The rear-sided EPD is asked for here. 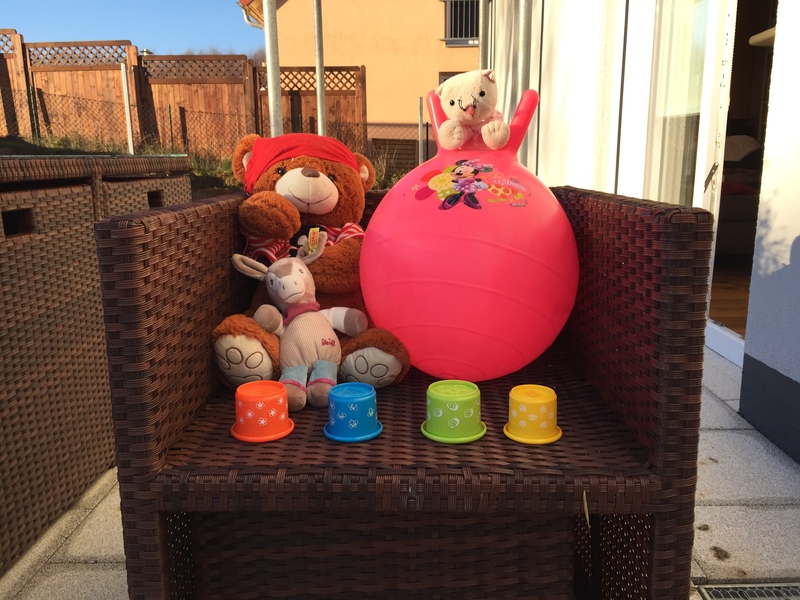 It can be used even in bright daylight almost without restrictions. Texts can always be read well even over longer periods. Besides that, the surface is not glossy but matte. The OLED's surface is reflective. 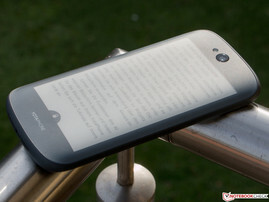 Nevertheless, it can be read in bright ambient light. and it remains well-legible even in sunlight. The viewing-angle stability of the AMOLED in the YotaPhone 2 is also very good. 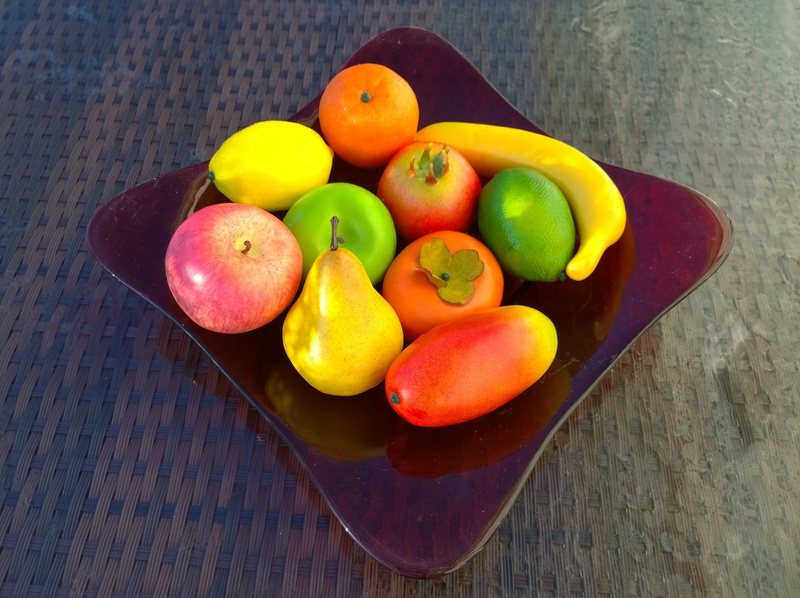 The image remains bright and colors do not distort even in flat viewing angles. Only a light-greenish luster covers the image from an angle of roughly 50 degrees. The viewing-angle stability of the EPD is also good, but the gap between the glass and screen becomes visible. Nevertheless, the displayed image always remains well-legible. 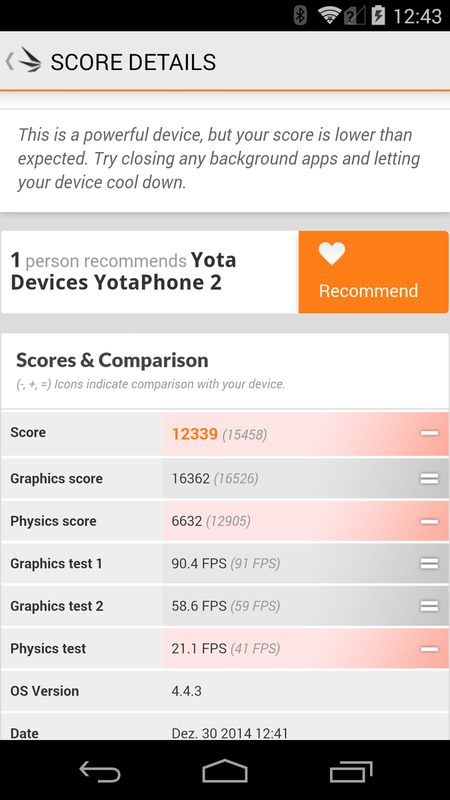 Yota Devices has beefed up its smartphone's performance. 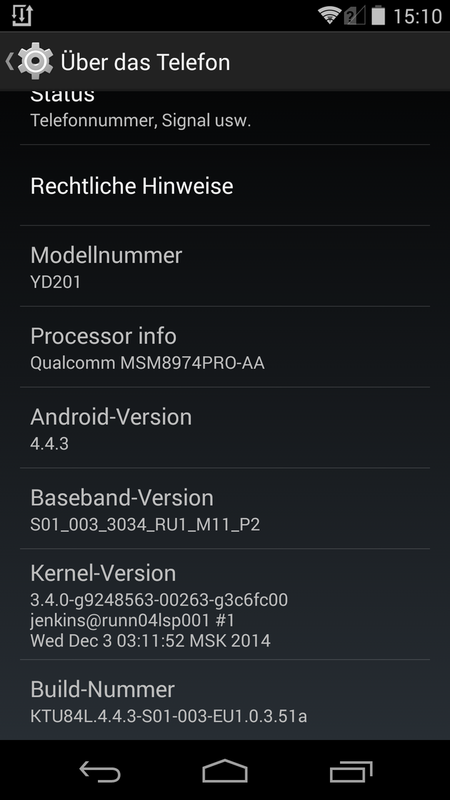 Now a Qualcomm Snapdragon 800 MSM8974PRO-AA SoC with four cores that clock with up to 2.3 GHz each is installed. The system is still supported by 2 GB of working memory. 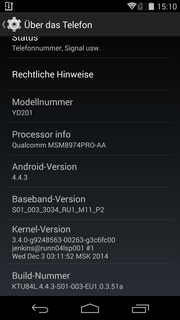 Android 4.4 KitKat runs absolutely smoothly in this configuration. Nevertheless, a somewhat stronger SoC would have been desirable considering the price level. 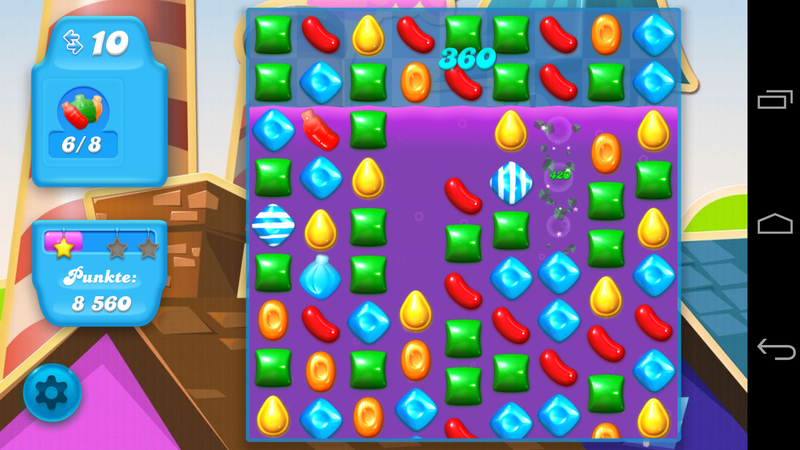 The review sample lags further behind its rivals than expected in the benchmarks. 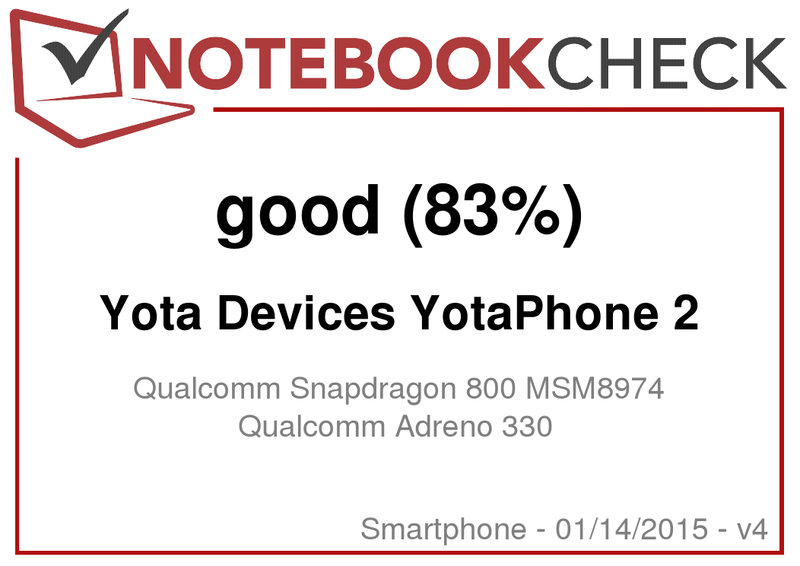 That is not surprising seeing that most other devices feature stronger hardware, but the YotaPhone 2 also scores worse than the nominally equally strong SoCs. 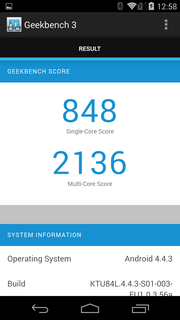 For example, Acer's Liquid S2 (Snapdragon 800) is 20% faster in both Geekbench 3 and 3DMark. It is primarily the CPU's performance that pulls down the score in the 3DMark Unlimited Test. The S2 is over 80% faster in the Physics Test. The Adreno is on the expected level. 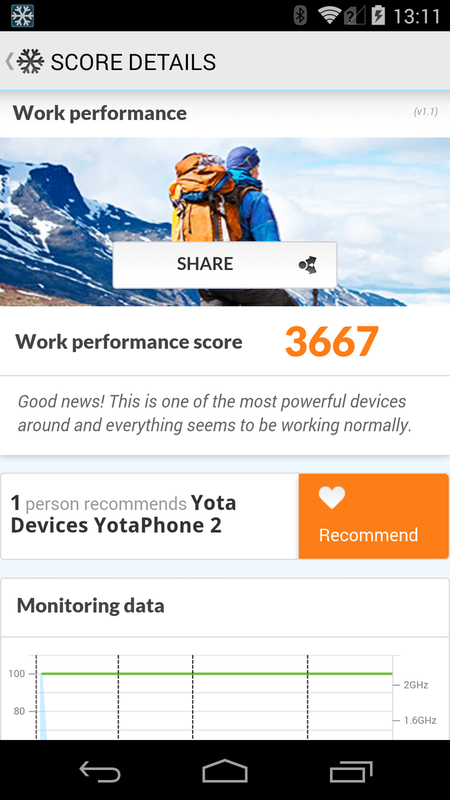 We tested the YotaPhone 2's browser performance using the preloaded Google Chrome 39. Internet browsing was subjectively swift, but we sometimes noticed that the review sample needed a moment in the direct vicinity of the router. Although the benchmark results are good, they also remain behind the expectations. 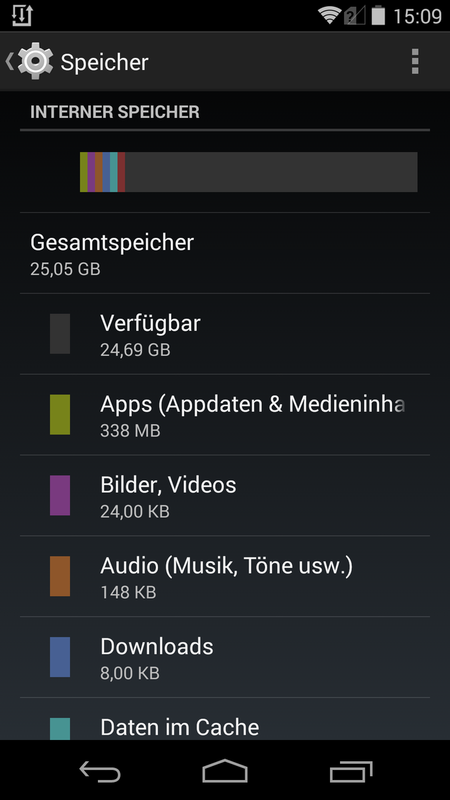 The storage of the YotaPhone 2 is generously sized with 32 GB. It cannot, however, be expanded. The user has approximately 24.7 GB available after initial start. 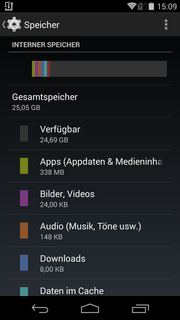 The storage's speed is impressive and belongs to the swiftest in the comparison field. 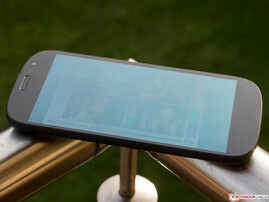 The speedy Adreno 330 graphics unit is installed in the YotaPhone 2. It has enough power to cope with all titles from the Play Store. Even the limited CPU performance was not noticed adversely in the test. 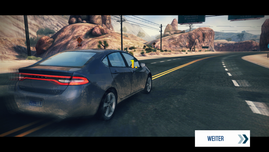 Demanding games like Asphalt 8 run smoothly in high detail settings over a longer period. The decent touchscreen and impeccably functioning sensors round off the gaming fun. 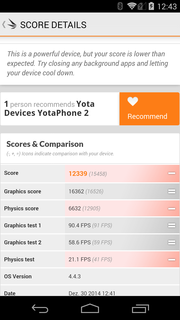 The YotaPhone 2 reached a maximum surface temperature of 34.2 °C when idle. It climbed up to 42.6 °C under permanent load, which we simulated using the Stability Test app. Although that is comparatively high, it is still within an acceptable range. 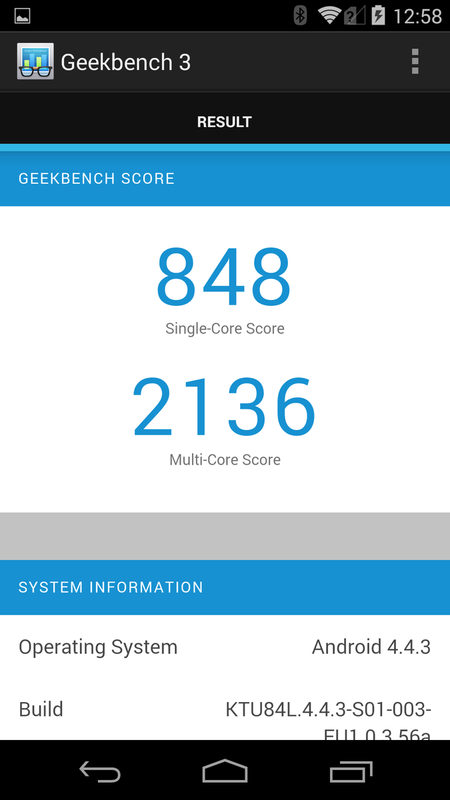 Since the benchmarks already showed signs of performance losses during load, we examined this more closely using the battery test of GFXBench 3.0. It performs the T-Rex test thirty times in succession and records the frame rates in addition to the battery state. Throttling becomes evident here. The performance drops by approximately 15%. (±) The average temperature for the upper side under maximal load is 36.6 °C / 98 F, compared to the average of 33 °C / 91 F for the devices in the class Smartphone. (±) The maximum temperature on the upper side is 42.6 °C / 109 F, compared to the average of 35.5 °C / 96 F, ranging from 22.4 to 51.7 °C for the class Smartphone. (+) In idle usage, the average temperature for the upper side is 29.7 °C / 85 F, compared to the device average of 33 °C / 91 F.
The speaker is located on the lower edge of the YotaPhone 2 and generally sounds a bit muffled. Although it can get very loud, music playback distorts when the volume exceeds 50%. Basses clash with a clanking sound. 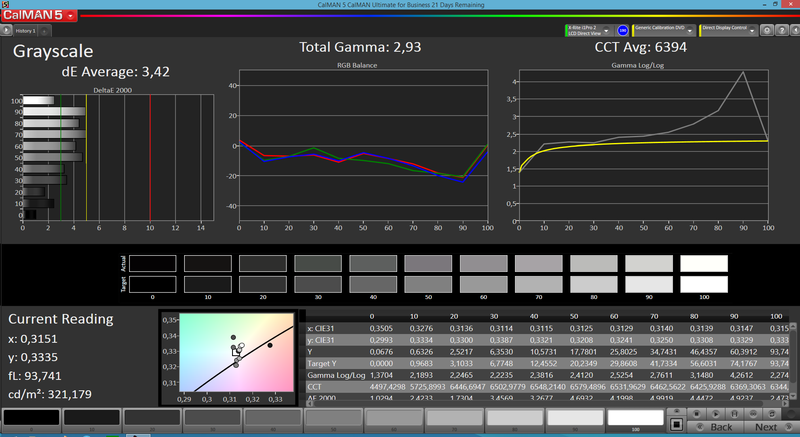 The audio impression is somewhat better when watching movies but is not completely convincing in high volumes. The included headset sounds more pleasant, though it is not exceptionally balanced. Mids and basses are only conveyed meekly. The YotaPhone 2 has a relatively high power consumption when the screen's brightness is set to maximum and during load. However, the standby and off-state power consumptions are acceptable. The power supply has a sufficiently high capacity. The battery in the YotaPhone has a capacity of 2500 mAh and is sufficiently sized. 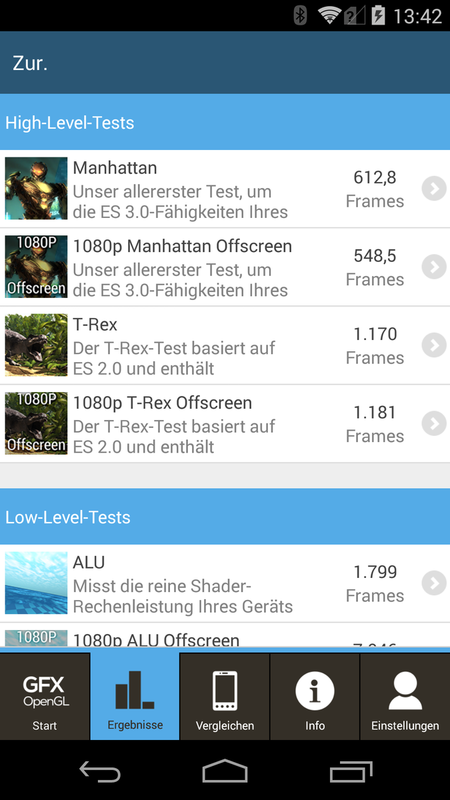 Wi-Fi browsing with a screen brightness of 150 cd/m² provides the best comparison basis. All consumers except for the Wi-Fi connection are disabled and a script that opens a new website every 40 seconds is run in the browser. The result of ten hours is decent but not exceptional. 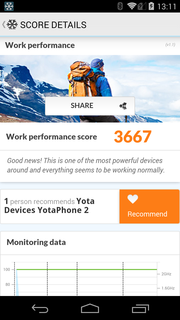 The battery life can be increased considerably with the YotaEnergy mode. The maker promises a reading time of five days and two days for all basic smartphone functions without having to recharge the device. 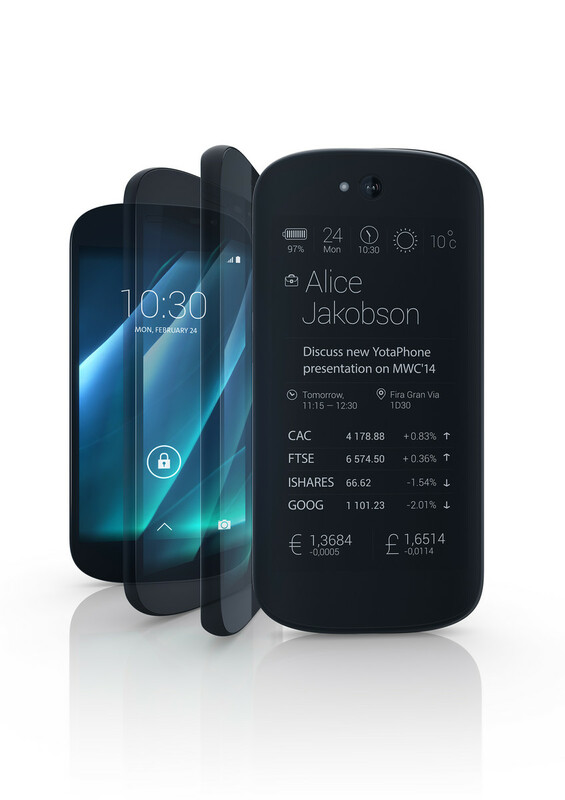 The YotaPhone 2 is the only smartphone in the market that features a second e-paper display. That largely prevents any usage restrictions even on sunny summer days, and it always ensures good legibility. However, the EP display does not make an absolutely sophisticated impression. Although it has been improved considerably compared with the precursor, the displayed content could be sharper. Besides that, we would wish for a backlight that can be enabled optionally. 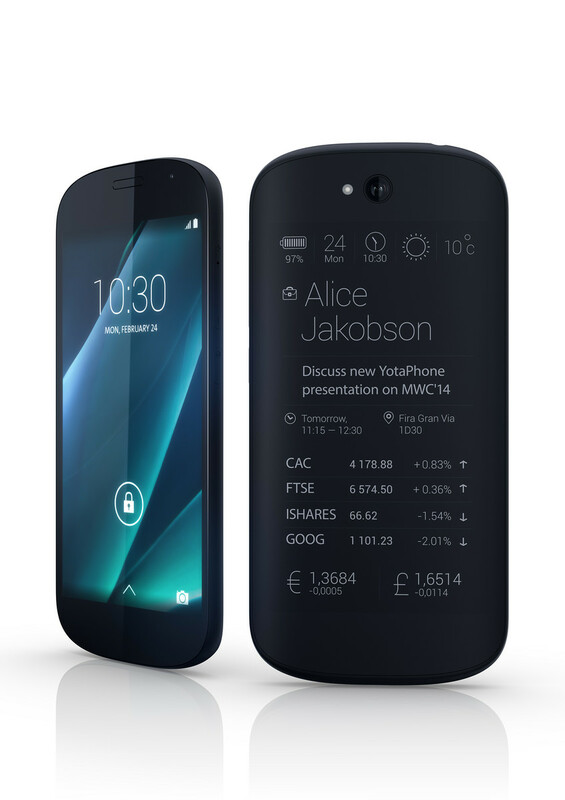 The YotaPhone 2 has been fundamentally reworked. A 5-inch AMOLED adorns the front. A 4.7-inch EP display is on the back. A Snapdragon 800 ensures plenty of computing power. Gorilla Glass 3 protects both sides of the handheld. The second e-paper display is definitely an additional benefit even for everyday use and is more than just a technical gimmick. 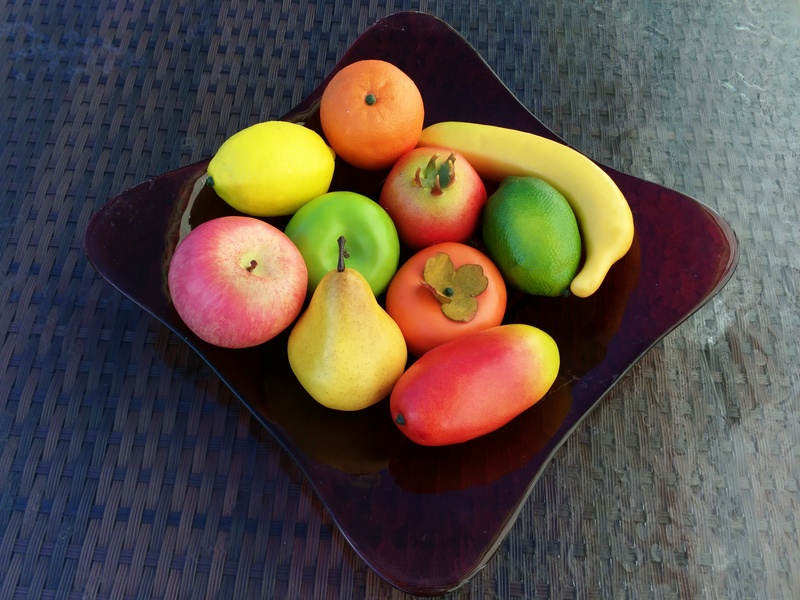 It is a well-conceived and configurable feature. 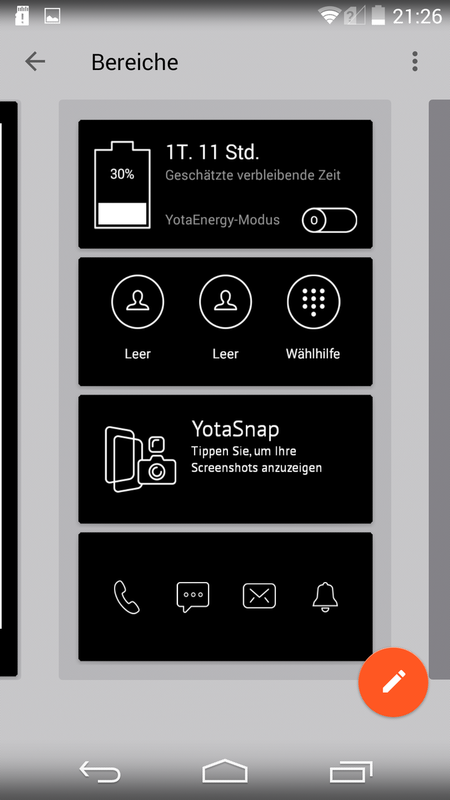 A backlight for the EPD that can be enabled optionally is on our wish list for the YotaPhone 3. The camera in the YotaPhone 2 has a lower resolution than its precursor (13 MP). 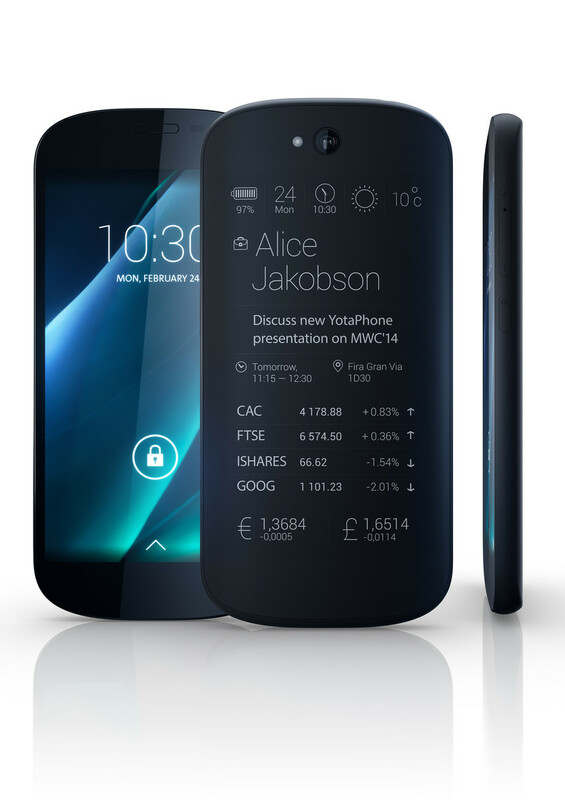 The YotaPhone 2 does not have any real rivals, but it has to compete against the Samsung Galaxy S5, HTC One M8, Sony Xperia Z3, LG G3, Nokia Lumia 930, Motorola Moto X, Google Nexus 6 and Apple iPhone 6 in view of its price level.